When traveling, I suggest utilizing the ‘tools’ that have been made available to you. Many are free! The one that I have learned to embrace, or at least when I want to, is jet lag. I am very fortunate. I have been able to tune into my sleep cycle and can usually make the five hour time zone switch the first night. But, if I don’t pay attention I can find myself wide awake at 3am. But I do call on it every once and awhile ….. 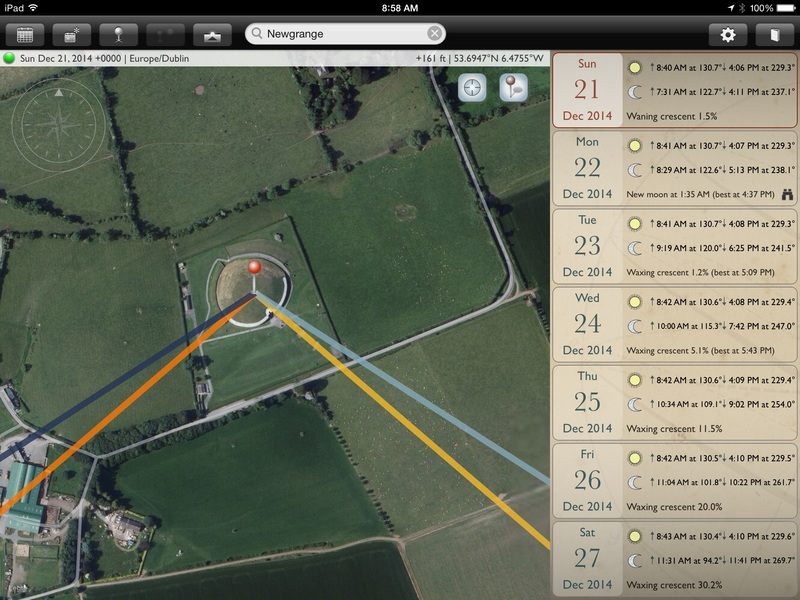 It was June 21, 2014 and I had three key ingredients – summer solstice, a sunrise, and the Newgrange Passage Tomb less than a mile away. I applied that jet lag and let it simmer. There I was …. driving around County Meath at 3:45am. 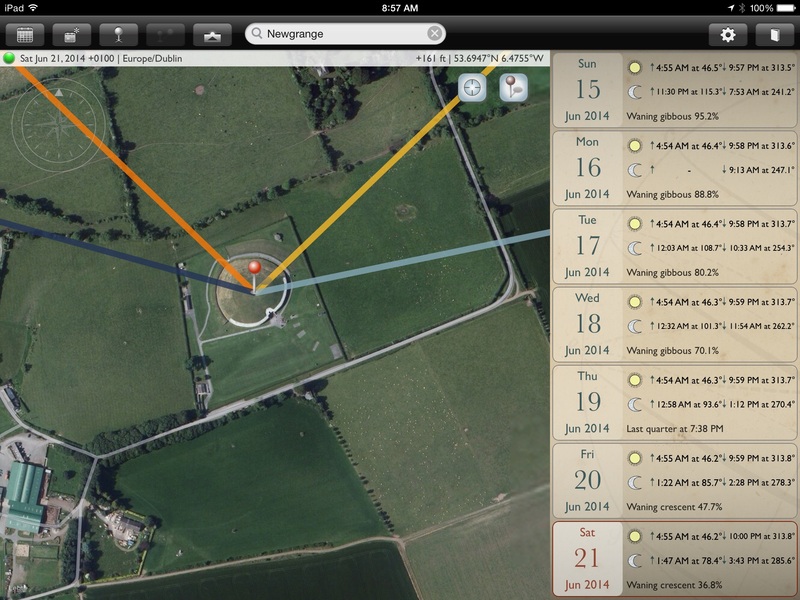 While Newgrange was less than a mile away from my B&B, the Boyne River was in the way. So, I had to take the long way which included a few local roads in the middle of the night and by myself. The best part, I was trying to do this by Google Maps; offline mode. We had tried the day before to find it, but we were unsuccessful. So after studying the map, I was going to try this once again. I did mention that is was in the middle of the night, correct? Ireland does not have street lights at every turn, so this meant in the black of night. At one point, I could have gone straight; actually, should have. But, not me! I turned right at the sign that said: no buses or RV’s. It was now 4am. I am on a road so narrow that the weeds are swiping the car on BOTH sides. New thought … Please let me be the only one crazy enough to be on this road. After creeping along … success! 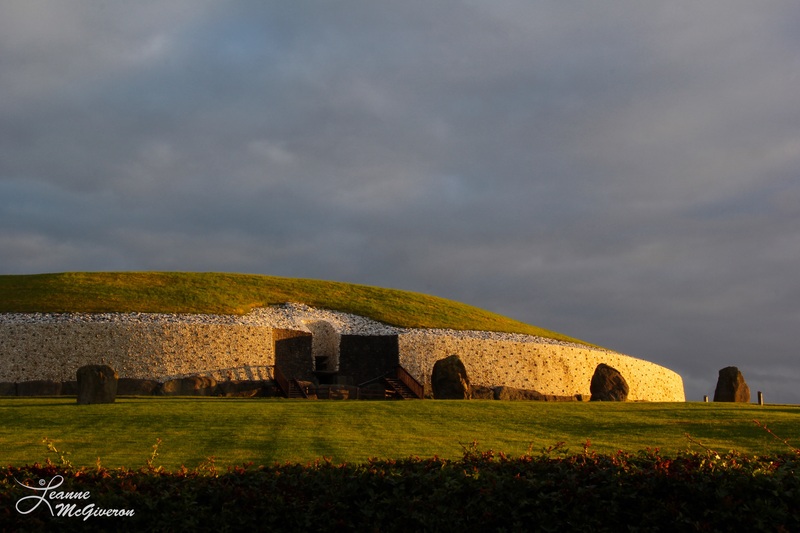 While Newgrange is famous for the Winter Solstice, I thought there would be people here for the Summer Solstice. Nope, just me. So, there I was, standing on a mound outside of the property, camera on the tripod, and … in drifts the cloud as daybreak was beginning to approach. Really? For the next 75 minutes I stood on that mound. I would take a few photos, watch the clouds, and gauge the breeze. As the sun started its ascent, I realized … I missed this one. I was thinking that since it was summer, the sunrise would be 180 degrees from the winter solstice. Wouldn’t it be great to see the sun rise behind the tomb? But due to my lack of research, I discovered that it is was off to the side. To make this more comical, the clouds begin to blanket the sky. You have to be patient in Ireland because if you wait long enough, the weather will change. Sometimes the weather will work with you. And that morning … it did. One image I was able to capture was a beautiful red-orange that briefly touched the tomb. Nine images later and the clouds had moved back in. But for me, the real winner was a bit later. I love the golden time of the day which is about 45-60 minutes after sunrise or before sunset. There is a deep, golden color to the sun. I find that when it combines with dark storm clouds, you can get a pretty spectacular image. 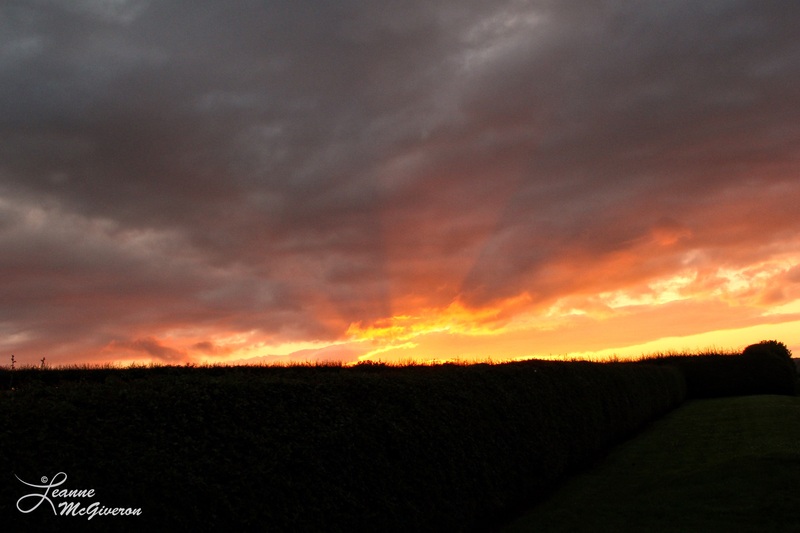 As I waited, I was given about 2 minutes of that golden sun. 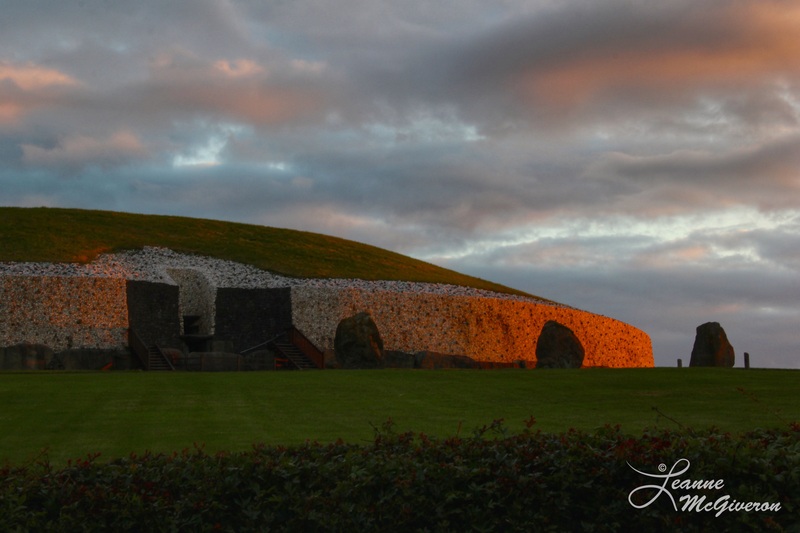 The quartz that covers the front of the passage tomb seemed to reflect the light. It was breathtaking. So, while I was completely wrong with the direction of the sunrise, the images that I took that morning have become some of my favorite.